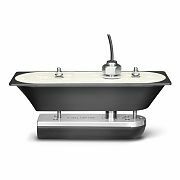 This thru-hull transducer provides ultra-clear sonar pictures of objects, structure and fish that pass below your boat. 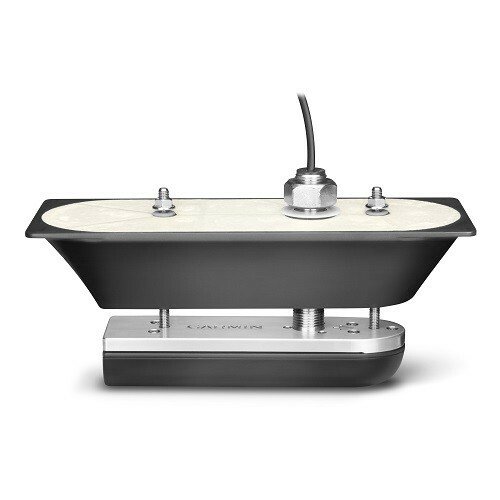 This traditional CHIRP sonar and CHIRP DownVü/SideVü transducer is optimized for clearer images at shallower depths. The CHIRP DownVü/ SideVü elements have a power rating of 500 W per element (1,500 W total) and operating frequencies of 455/800 kHz. The traditional CHIRP sonar has a power rating of 300 W and operating frequencies of mid-band CHIRP 80-160 kHz. It includes a built-in fast-response temperature sensor. For hull deadrises less than 25 degrees.